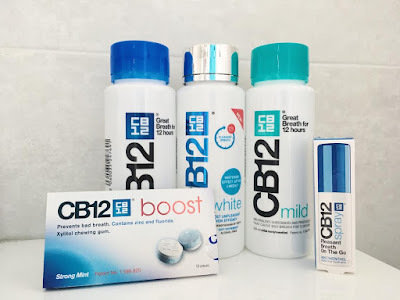 It can be hard to find dental hygiene products that actually prevent bad breath rather than just mask it for an hour or so, which is why I was excited to try out the CB12 range to see how effective they really are! The products are more expensive than most of the products I would normally use. 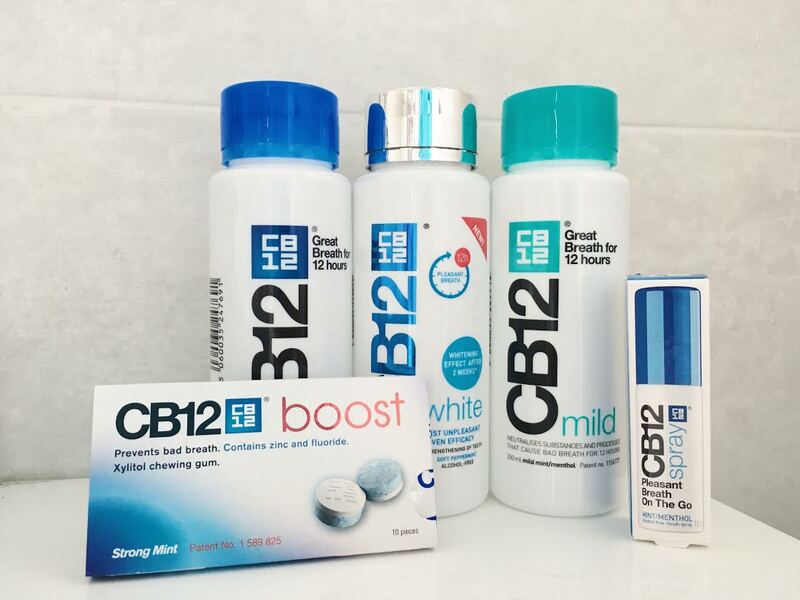 I have been trying out their mouthwashes which are available in the normal version and a mild or white version. I've tried the white one before and noticed how much a difference there was when I started using it regularly. It also claims to strengthen your enamel which is great! My teeth can get rather sensitive so I try to avoid whitening products as they can be too strong but I was able to use this without any issues. It's definitely worth paying a bit extra compared to normal mouthwash to see such a difference and actually feel your teeth becoming stronger and healthier. The mild mouthwash has my favourite flavour out of the three as it isn't overpowering and it smells amazing! I've noticed they all do eliminate bad breath all day and I've never tried a mouthwash that has actually left my mouth feeling so fresh all day long. The original mouthwash of course does all the same and is great if you're not worried about the taste of mouthwash compared to the milder one. 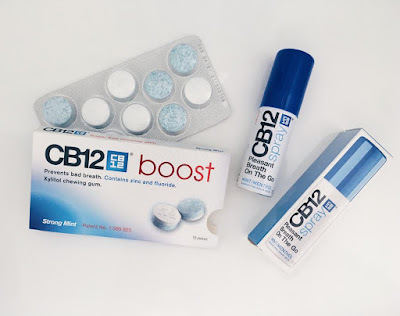 The other products I tried was the CB12 boost chewing gum and the spray. The chewing gum has the perfect balance of flavour and they do an amazing job at preventing bad breath! They're really addictive as they leave such an amazing taste in the mouth and the hard outer shell on them make them even more satisfying to chew. It also claims to inhibit plaque growth due to containing xylitol, which I did notice was true as it felt as though they were also cleaning my teeth. I've also never tried a breath spray but this works instantly and I love how it provides immediate freshness!